Wolff, Cynthia Griffin. A Feast of Words. The Triumph of Edith Wharton. Oxford. Oxford University Press. 1978. Octavo. Soft cover. Reprint. Near fine copy (very light shelf wear, owner name inked out on end paper). Wolff, Geoffrey. The Art of Burning Bridges. A Life of John O'Hara. Photo available. New York. Alfred A. Knopf. 2003. Octavo. Hard cover. First edition. Illustrated. Fine copy in fine dust jacket (in mylar). Wood, Nancy (ed). The Serpent's Tongue. 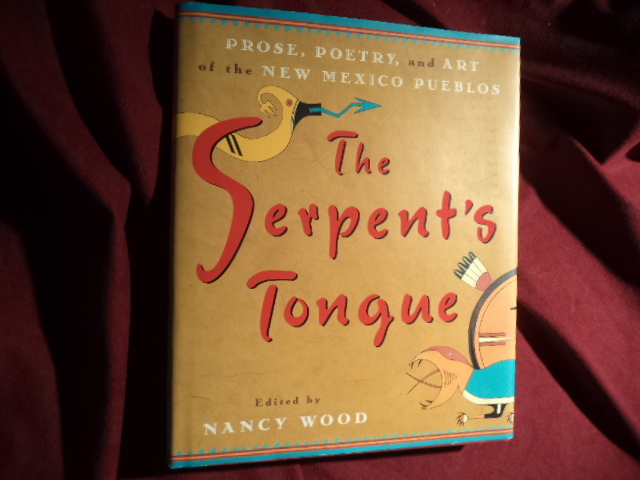 Prose, Poetry, and Art of the New Mexico Pueblos. New York. Dutton. 1997. 4to. Hard cover. First edition. Illustrated in black, white and color. Fine copy in fine dust jacket (in mylar). Wood, Nancy (ed). The Serpent's Tongue. Prose, Poetry, and Art of the New Mexico Pueblos. Photo available. New York. Dutton. 1997. 4to. Hard cover. First edition. Full number line. Illustrated in black, white and color. Important reference work. Fine copy in fine dust jacket (in mylar). Woodbury, David O. Five Days to Oblivion. A Novel of Suspense. New York. Devin-Adair. 1963. Octavo. Hard cover. First edition. Fine copy (owner name on end paper) in fine dust jacket (in mylar). 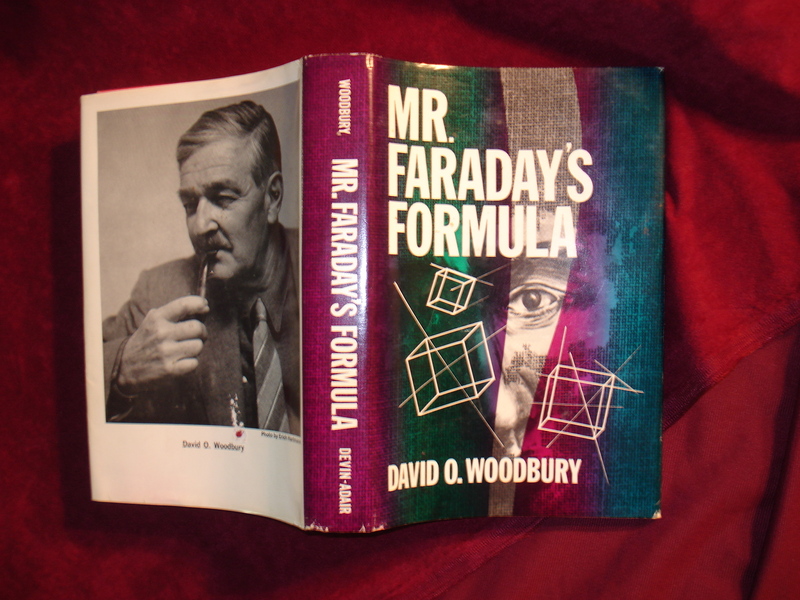 Woodbury, David O. Mr. Faraday's Formula. Photo available. New York. Devin-Adair. 1965. Octavo. Hard cover. First edition. Fine copy (owner name on end paper) in fine dust jacket (in mylar). Woodruff, Elvira. The Ravensmaster's Secret. Signed by the author. Escape from the Tower of London. New York. Scholastic. 2003. Octavo. Hard cover. Reprint. Signed by the Author. Fine copy (owner blind stamp) in fine dust jacket (in mylar). Woodward, Bob & Carl Bernstein. The Final Days. Signed by Bob Woodward. Photo available. Norwalk. Easton Press. 1999. 476 pps. 4to. Gilt decorated brown leather. Gilt edges. Gilt edges. First edition. Illustrated. Important reference work. Signed by Bob Woodward. Fine copy. Woog, Dan. The Book. Woog's World. Photo available. Westport. 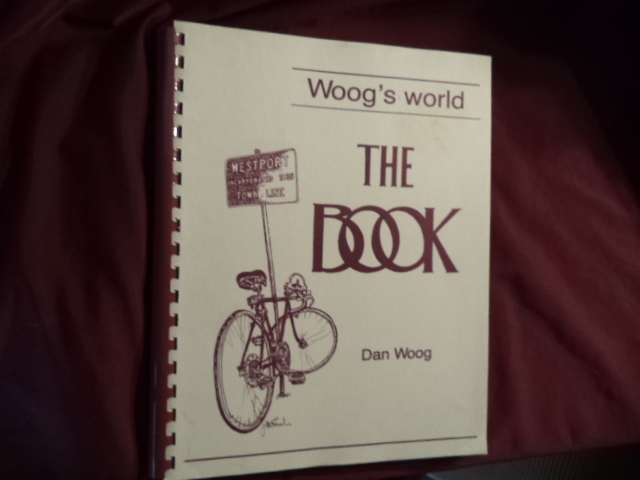 Woogs World Books. 1991. 204 pps. 4to. Spiral bound. First edition. Fine copy (owner inscription on end paper). Wooley, Persia. How to Write and Sell Historical Fiction. Cincinnati. Writer's Digest. 1997. Octavo. Hard cover. First edition. Fine copy. 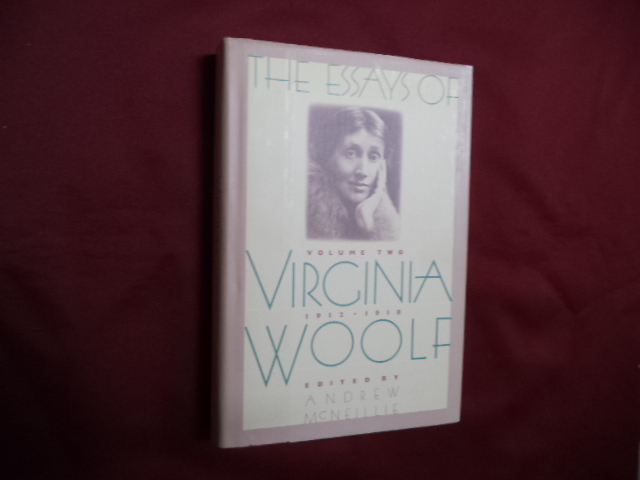 Woolf, Virginia & Andrew McNeillie (ed). The Essays of Virginia Woolf. Volume Two. 1912-1918. Photo available. San Diego. Harcourt, Brace & Jovanovich. 1987. 31 pps. Octavo. Hardcover. Stated first edition. Important reference work. Fine copy in fine dust jacket (in mylar). Woolf, Virginia. To the Lighthouse. San Diego. Harcourt Brace. 1989. Octavo. Soft cover. Reprint. Near fine copy (owner marks on end paper). Wouk, Herman War and Remembrance. A Novel. Photo available. Boston. Little, Brown and Company. 1978. 1042 pps. Octavo. Hardcover. Second edition. Fine copy in fine dust jacket (in mylar). Wouk, Herman. A Hole in Texas. New York. Little, Brown and Company. 2004. 278 pps. Octavo. Hardcover. First edition. Fine copy in fine dust jacket (in mylar). Wouk, Herman. This Is My God. Garden City. Doubleday & Company. 1959. 356 pps. Octavo. Hardcover. Reprint. Fine copy in near fine dust jacket (in mylar). Wouk, Herman. War and Remembrance. A Novel. Photo available. Boston. Little, Brown and Company. 1978. 1042 pps. Octavo. Hardcover. First edition. Fine copy in near fine dust jacket (in mylar). Wouk, Herman. War and Remembrance. A Novel. Photo available. Boston. Little, Brown and Company. 1978. 1042 pps. Octavo. Hardcover. First edition. Fine copy in fine dust jacket (in mylar). Wouk, Herman. War and Remembrance. A Novel. Photo available. Boston. Little, Brown and Company. 1978. 1042 pps. Octavo. Hardcover. First edition. Important reference work. Fine copy in fine dust jacket (in mylar). Wright, Celeste Turner. A Sense of Place. Inscribed by the author. Francestown. Golden Quill Press. 1973. Octavo. Hard cover. First edition. Inscribed by the author. Fine copy in fine dust jacket (in mylar). Wright, Celeste Turner. Etruscan Princess and Other Poems. Inscribed by the author. Denver. Alan Swallow. 1984. Octavo. Hard cover. First edition. Inscribed by the author. Fine copy in fine dust jacket (in mylar). Wright, Celeste Turner. Seasoned. Inscribed by the author. Francestown. Golden Quill Press. 1977. Octavo. Hard cover. First edition. Inscribed by the author. Fine copy in fine dust jacket (in mylar). Wright, Harold Bell. The Shepherd of the Hills. New York. Grosset & Dunlap. 1977. 299 pps. Octavo. Decorated hard cover. Reprint. Fine copy. Wright, Lyle. American Fiction. 1774-1850. A Contribution Toward a Bibliography. San Marino. Huntington Library. 1948. 355 pps. Octavo. Hardcover. Reprint. Fine copy (library stamp on bottom edge). Wright, Richard. 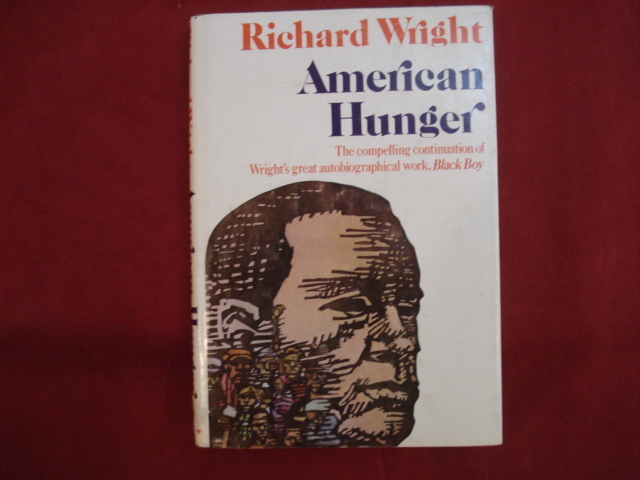 American Hunger. Photo available. New York. Harper & Row. 1977. Octavo. Hard cover. Reprint. Fine copy in near fine (very light shelf wear) dust jacket (in mylar). Wright, Richard. Black Boy. A Record of Childhood and Youth. New York. Harper & Brothers. 1966. 285 pps. Octavo. Soft cover. Reprint. Fine copy.